A railway bridge connecting Lugansk People’s Republic with Ukraine has been blown up in Lugansk region’s territory controlled by the Kyiv authorities. According to Emergency Minister of Lugansk People’s Republic Sergey Ivanushkin, the bridge was located 8 km away from the station of Shipilovo. As a result, there is no more railway connecting Rodakovo with Krasny Liman. “It was the last road Kyiv could use to supply coal to Ukraine,” Ivanushkin said. In fact, it was the last bridge connecting Lugansk People’s Republic with Ukraine. 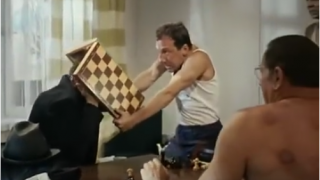 This is not the first such incident. 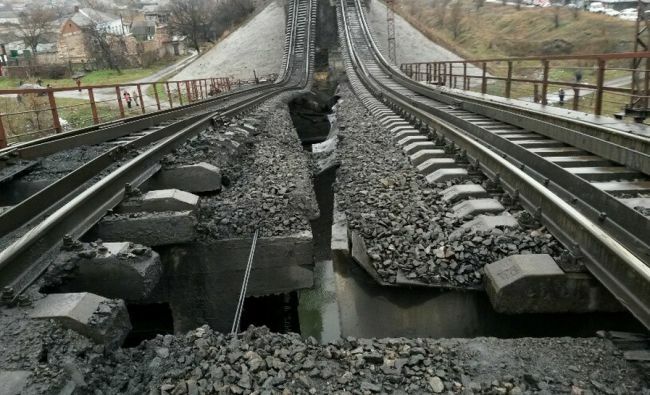 Two sections of the Donetsk railway were blown up in summer 2014, the Lugansk-Kiev railway was damaged in Oct 2014. As EAD reported earlier, last week the Border Department of Russia’s Federal Security Service on the Republic of Crimea detected a group of Ukrainian servicemen mining two bridges connecting Crimean and Chonhar peninsulas. A total of 42 boxes with mines were fixed to the arms of the bridges with electric wires laid to the nearby base of Ukrainian troops.